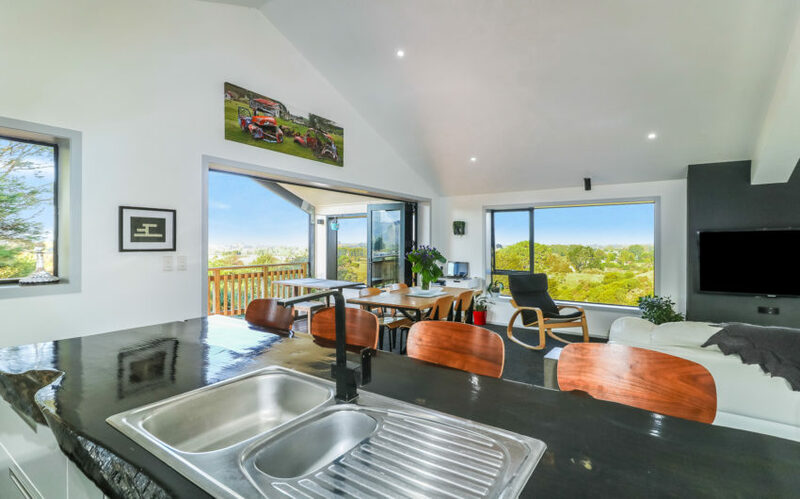 This striking designer home offers an executive lock up and leave lifestyle opportunity. 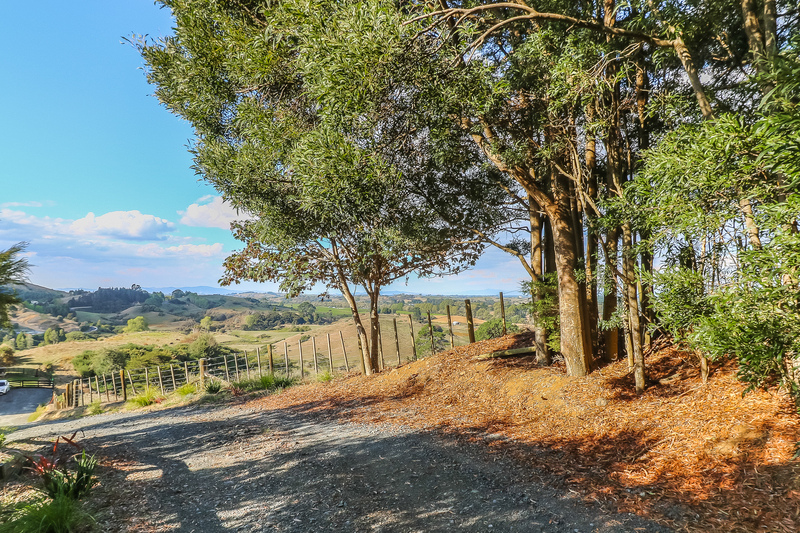 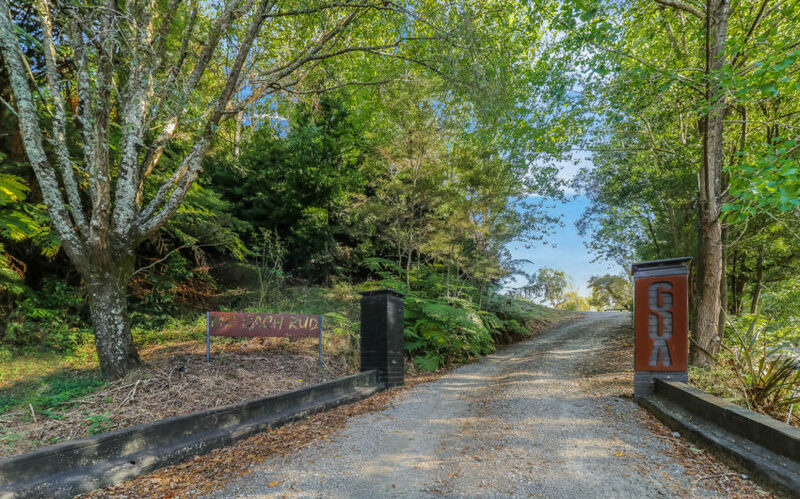 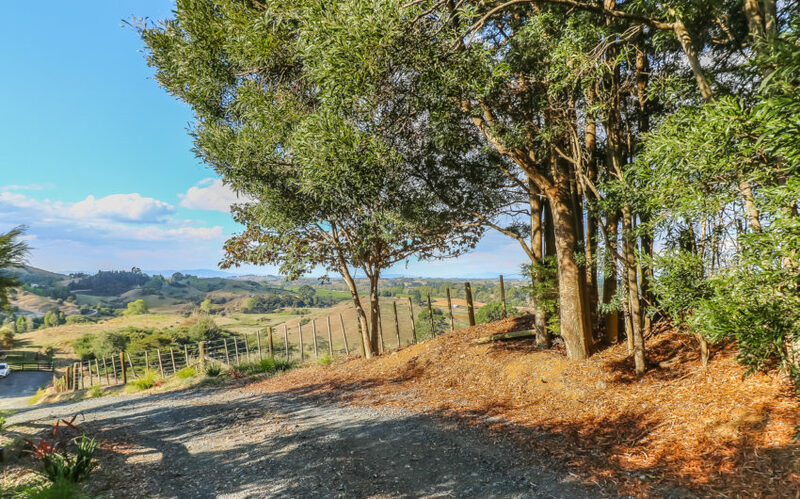 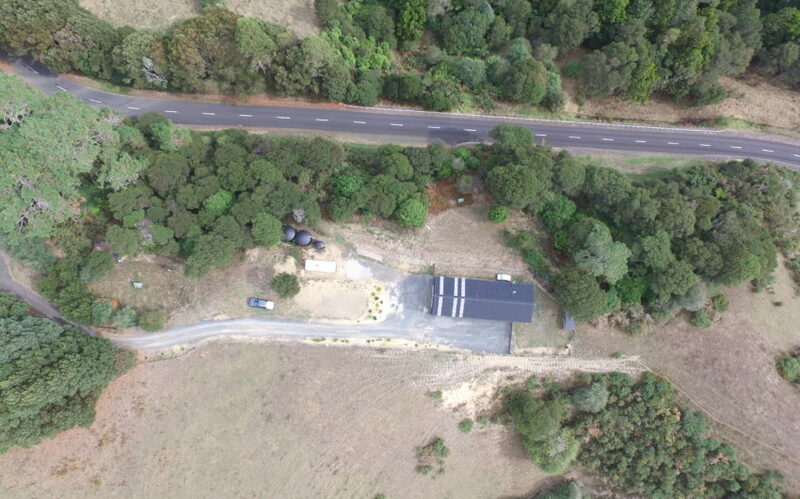 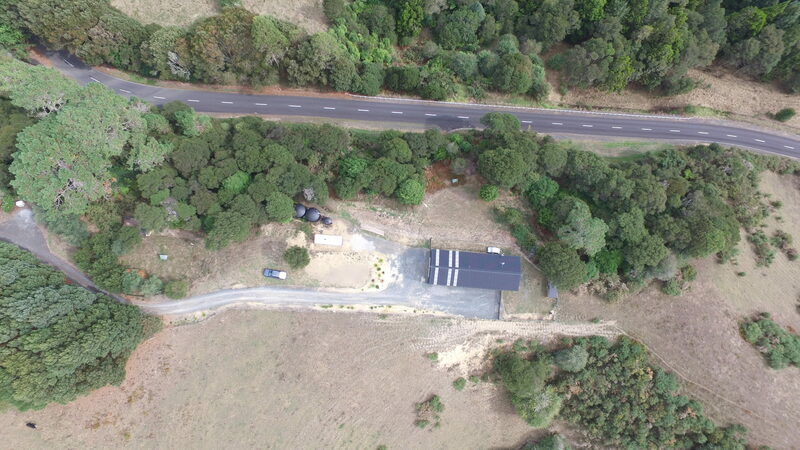 Situated on an elevated 5995m2 section (more or less), this site is mainly planted into native bush, meaning a low maintenance easy care section. 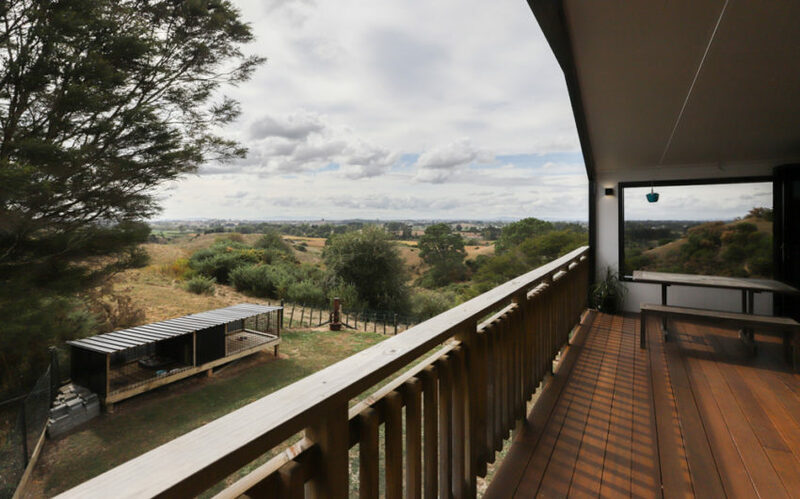 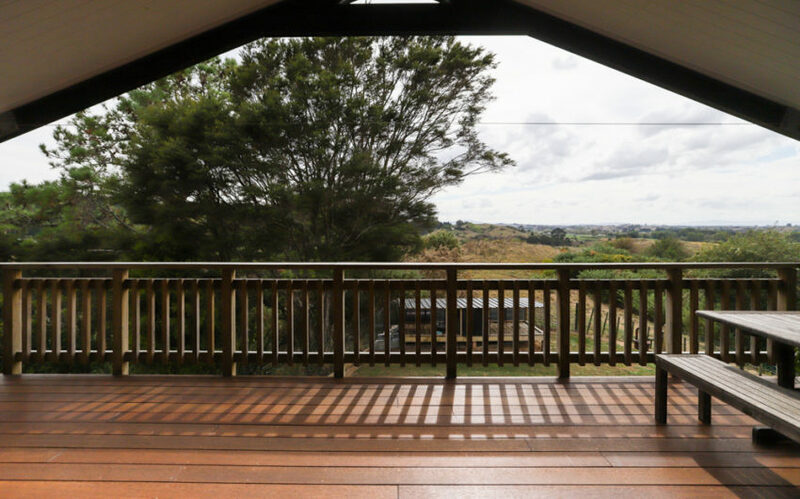 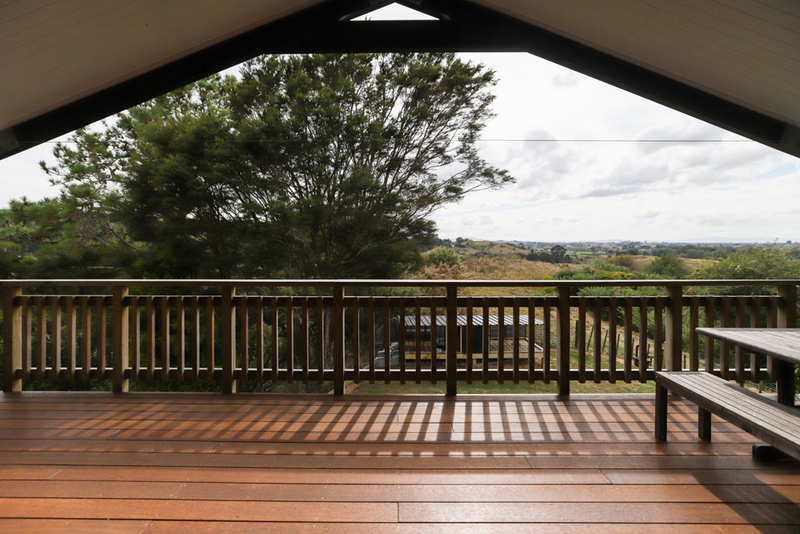 The platform around the house is flat and boasts 360 degree rural vistas and Hamilton’s city lights at night. 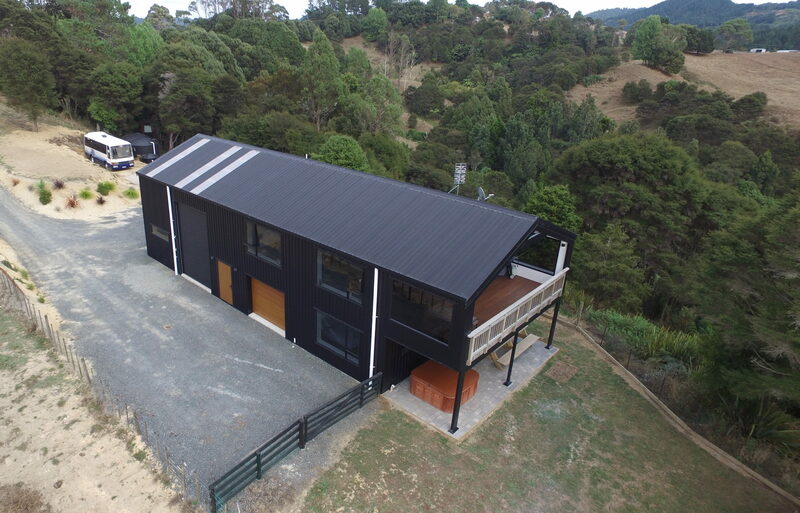 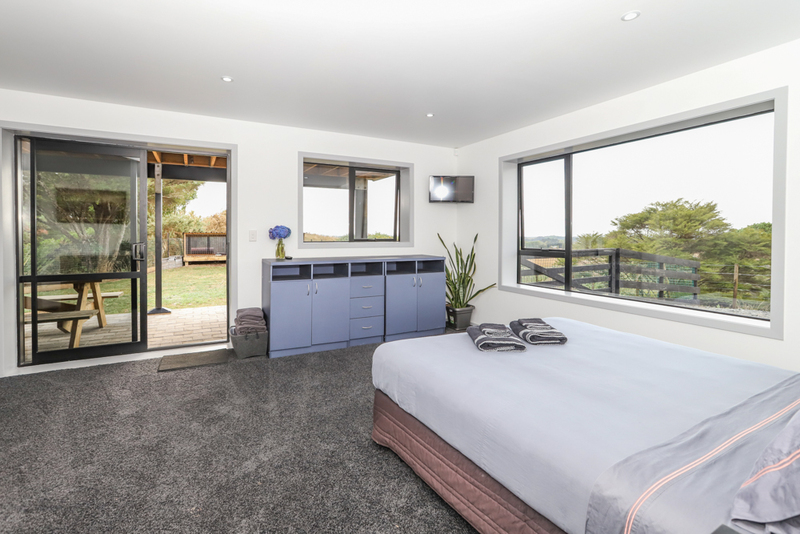 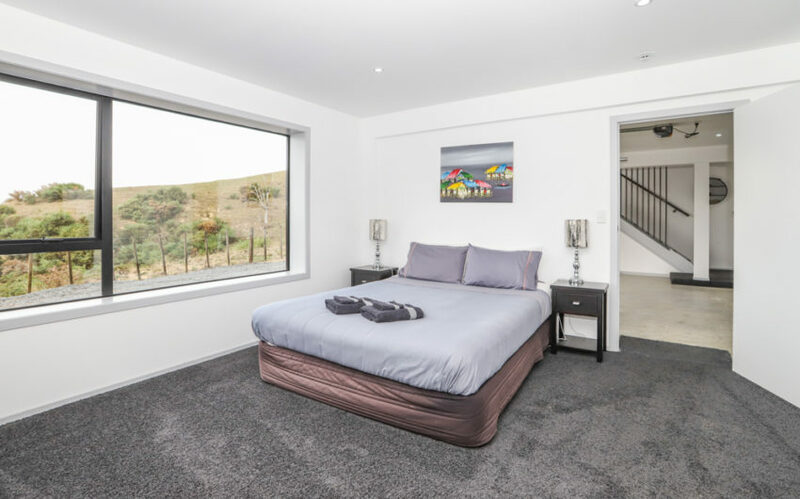 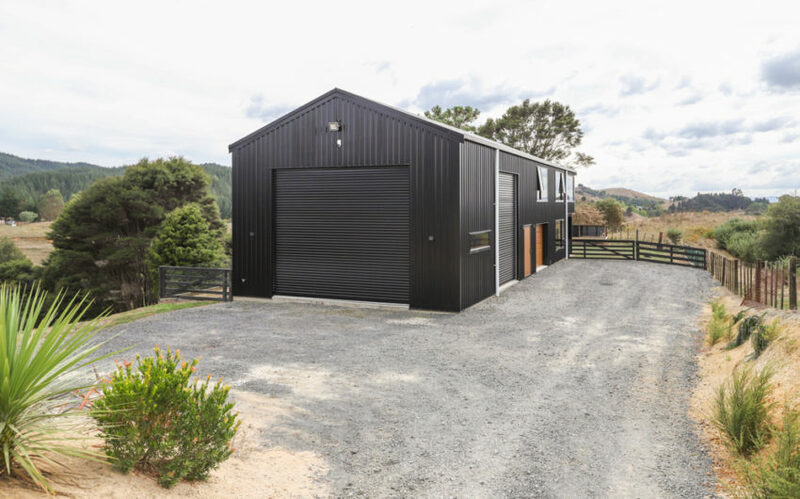 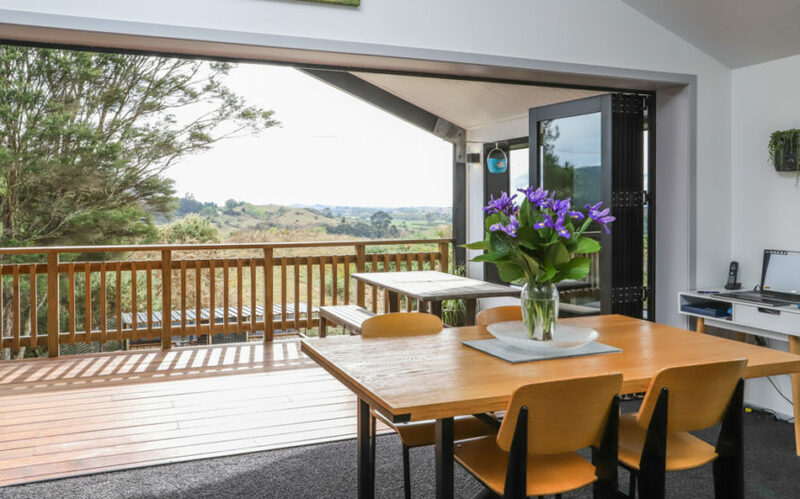 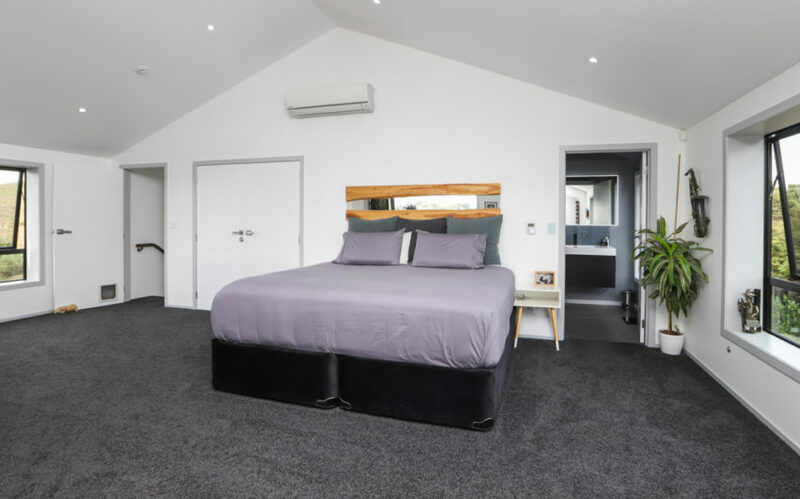 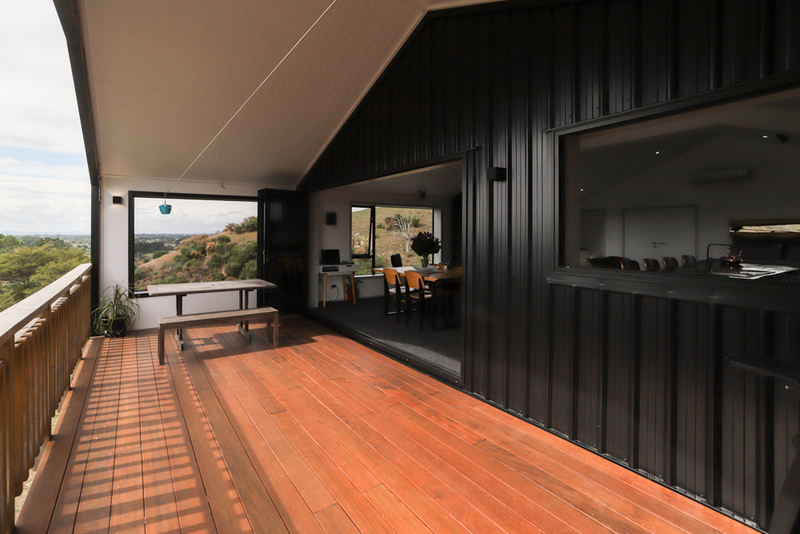 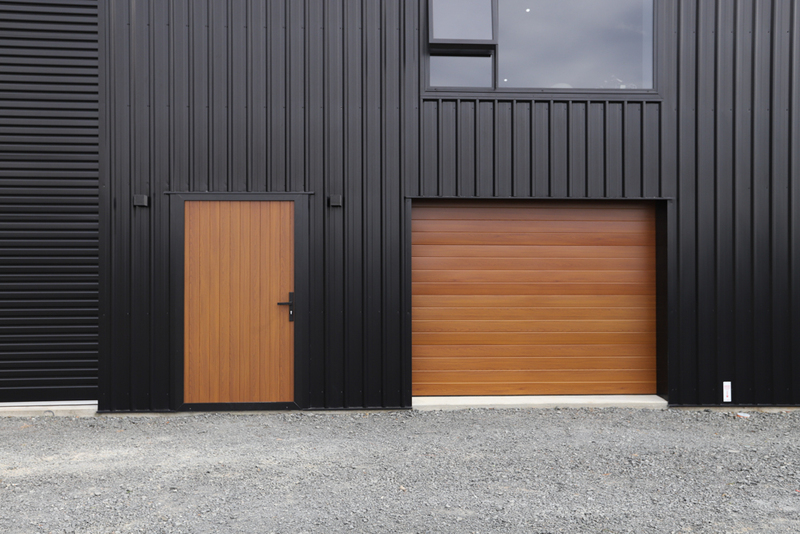 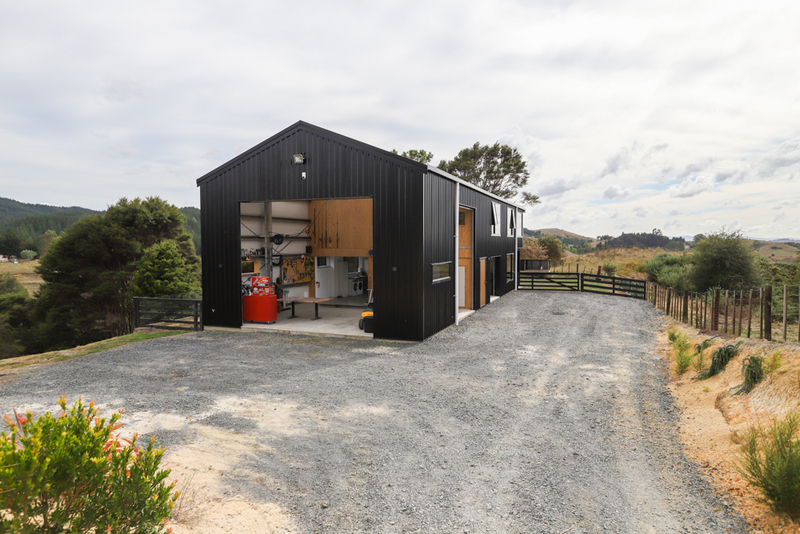 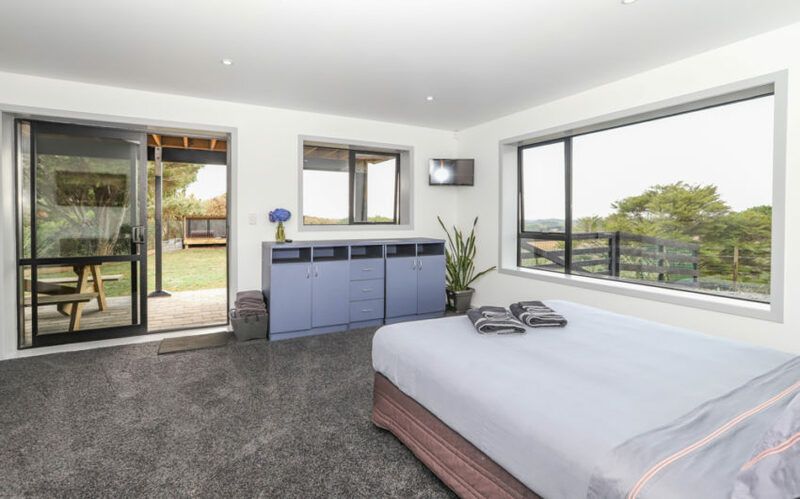 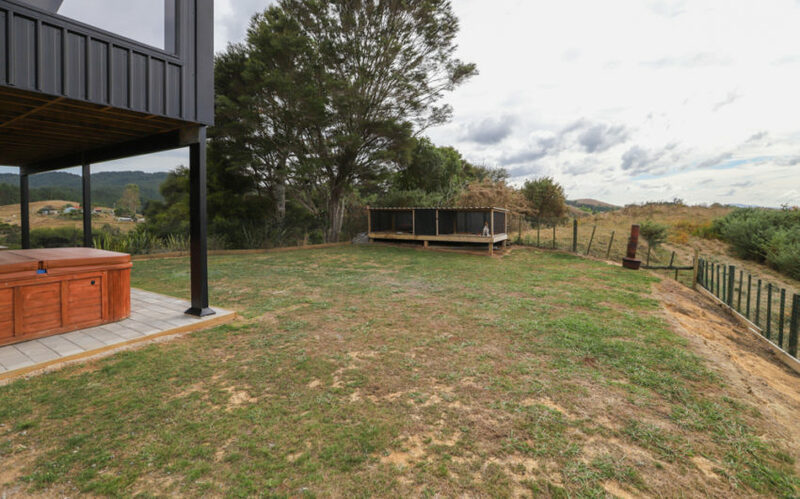 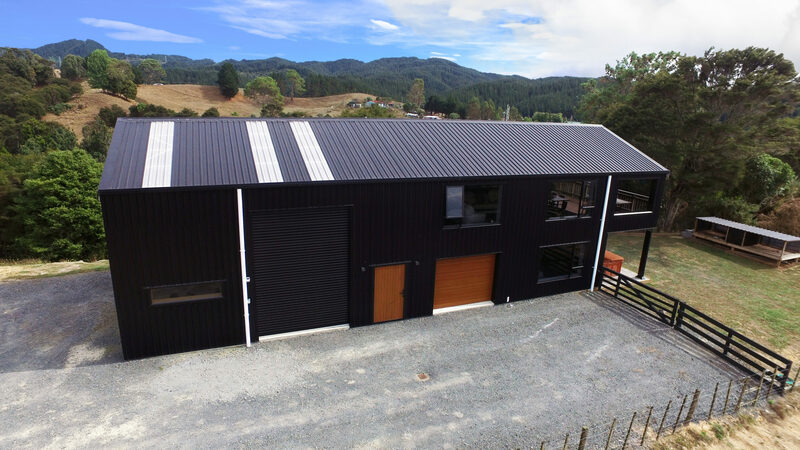 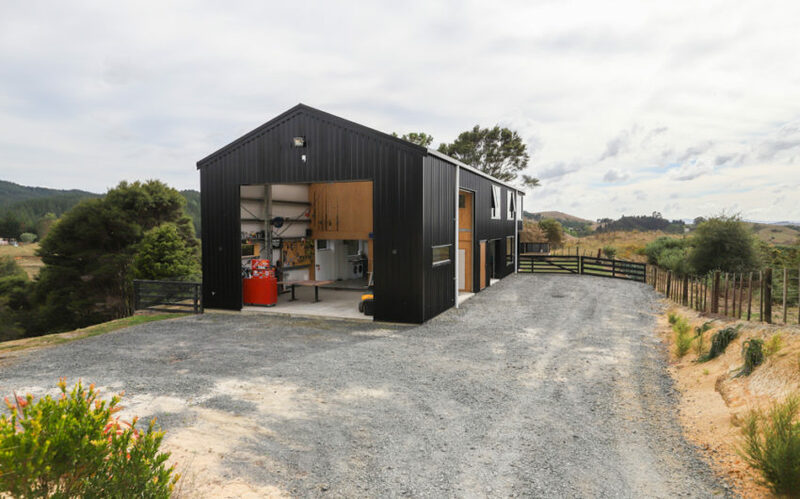 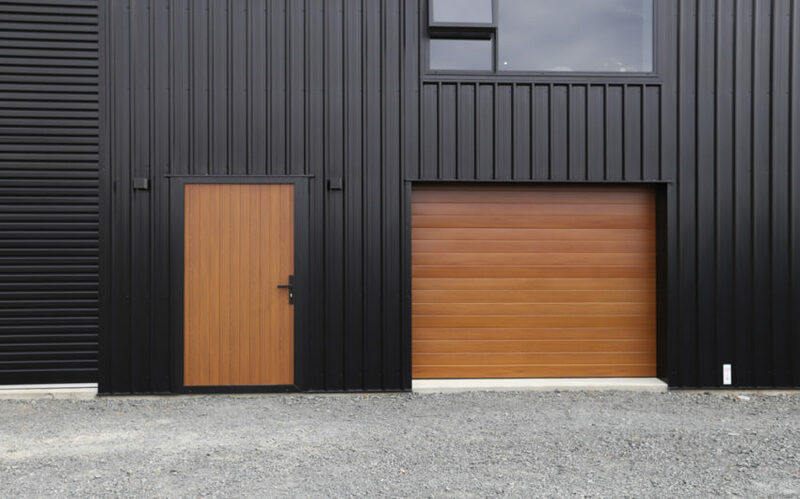 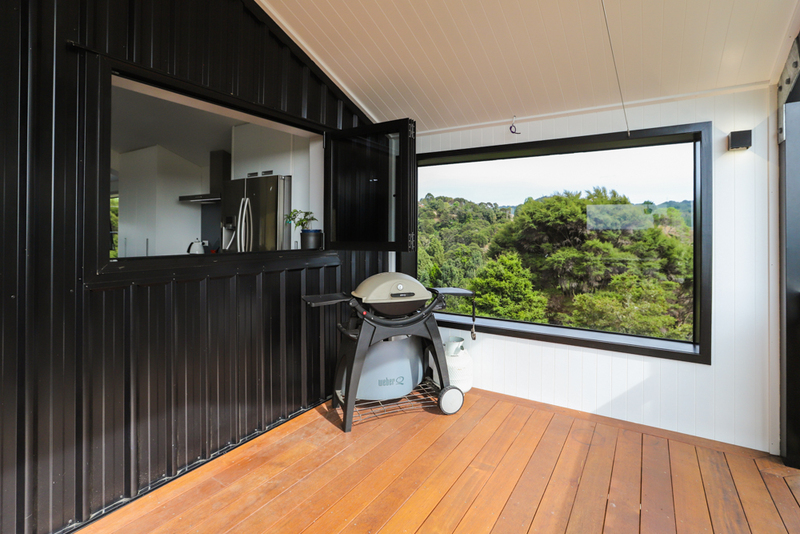 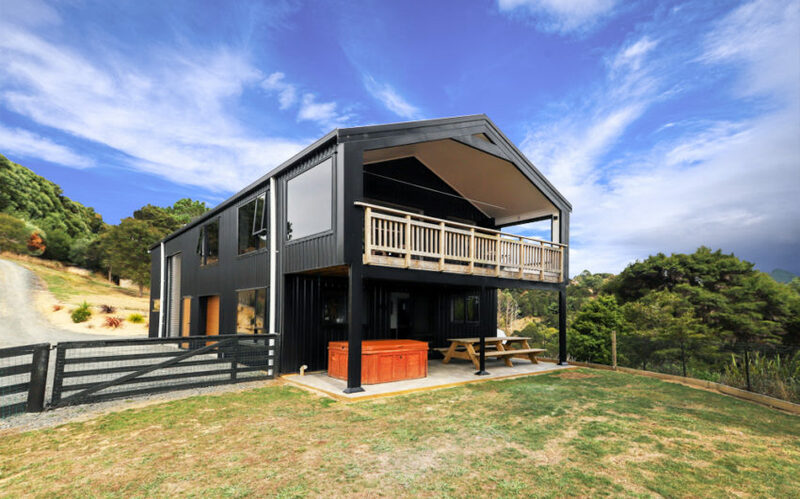 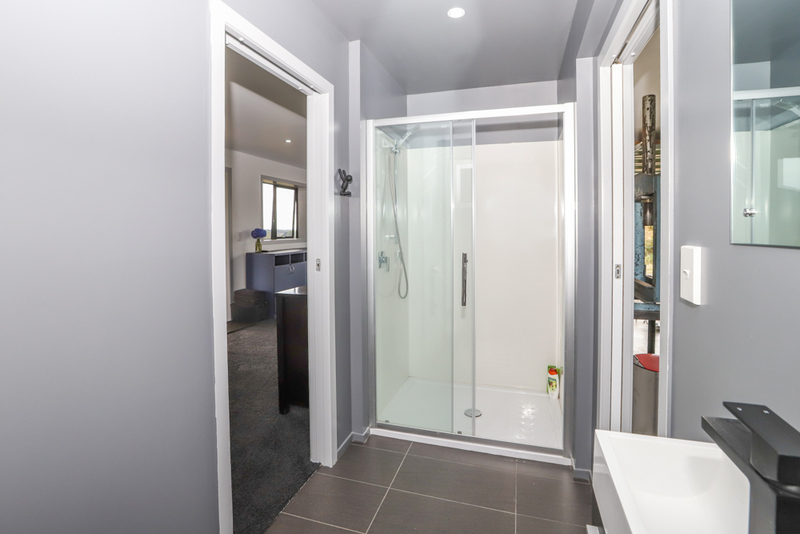 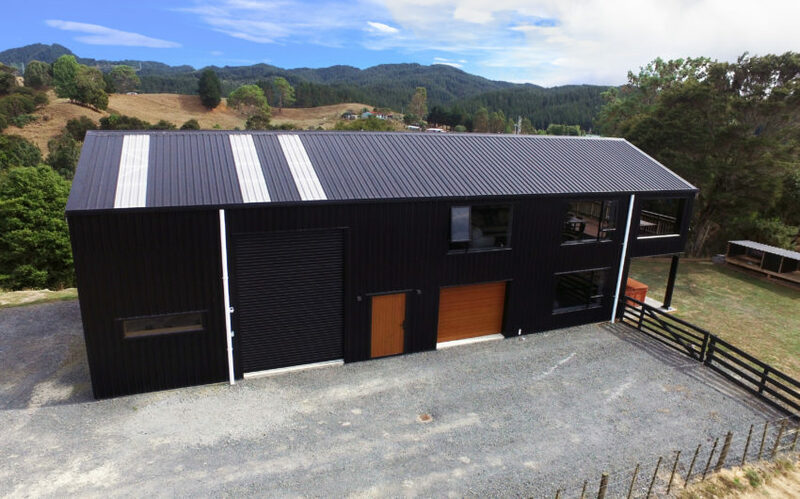 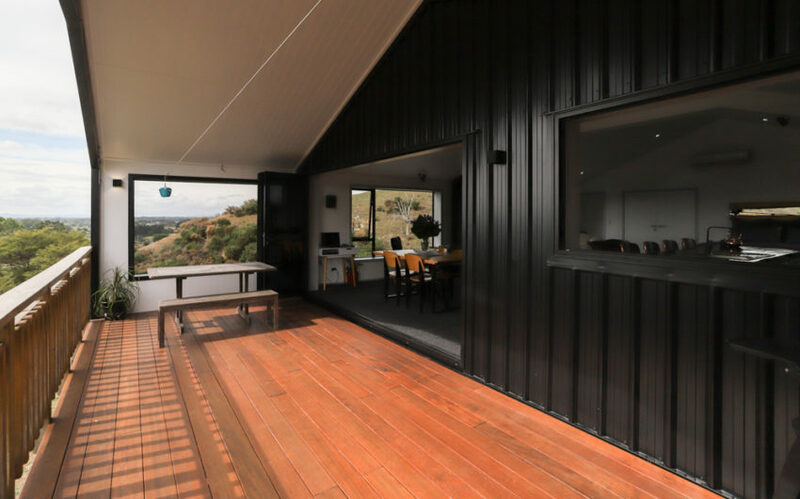 This fresh Immaculate steel framed home, constructed of black coloursteel and wood grain look doors offers a high end finish with double glazing throughout, the home is fully insulated and is equipped with one of the largest air-conditioning units available ensuring cool summer months and a warm winter. 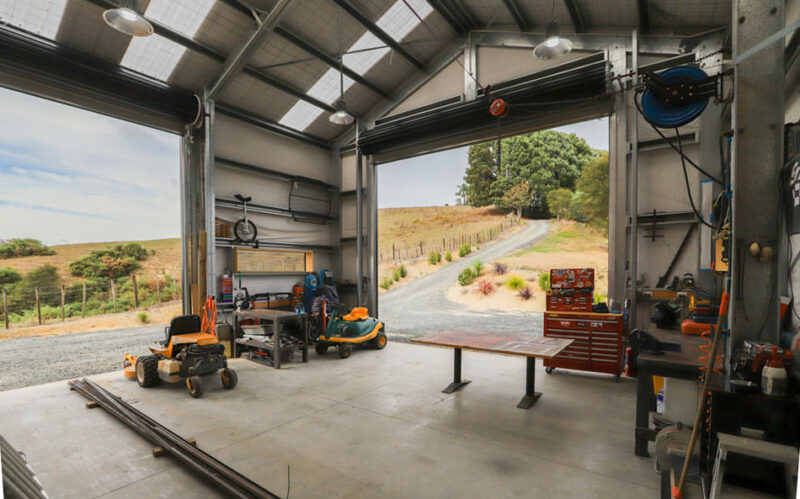 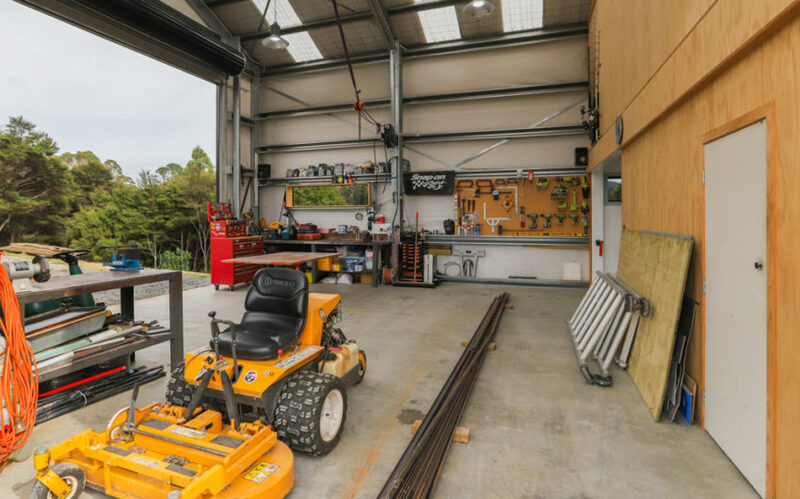 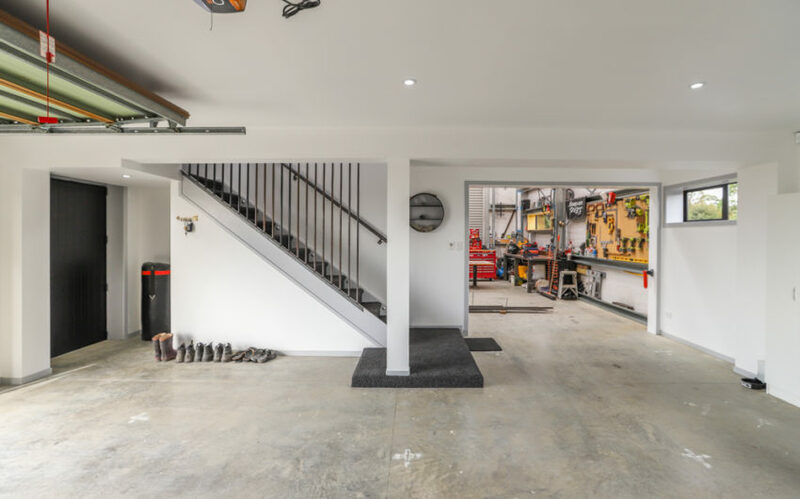 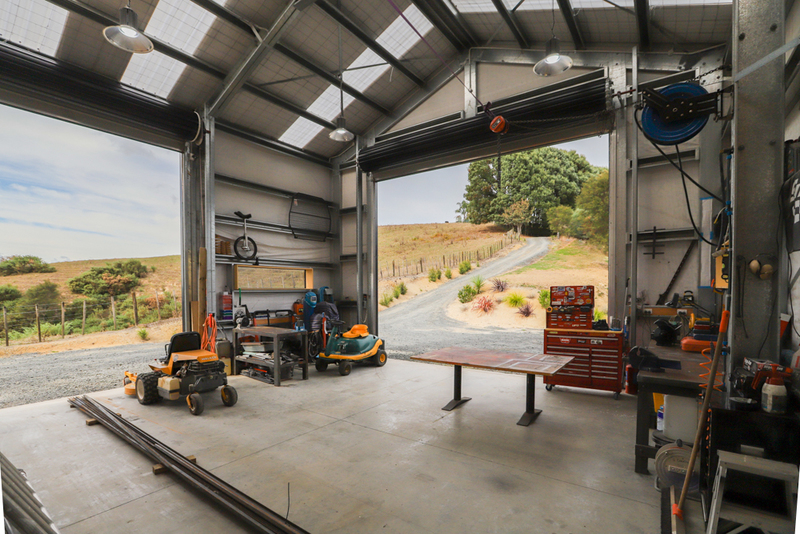 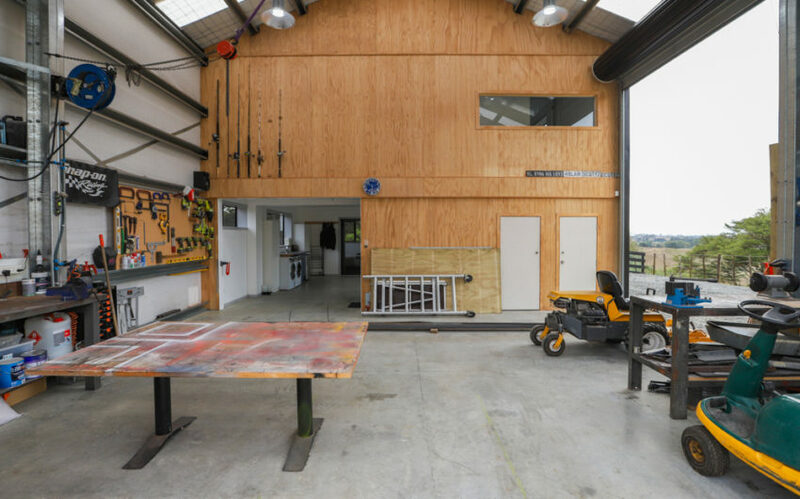 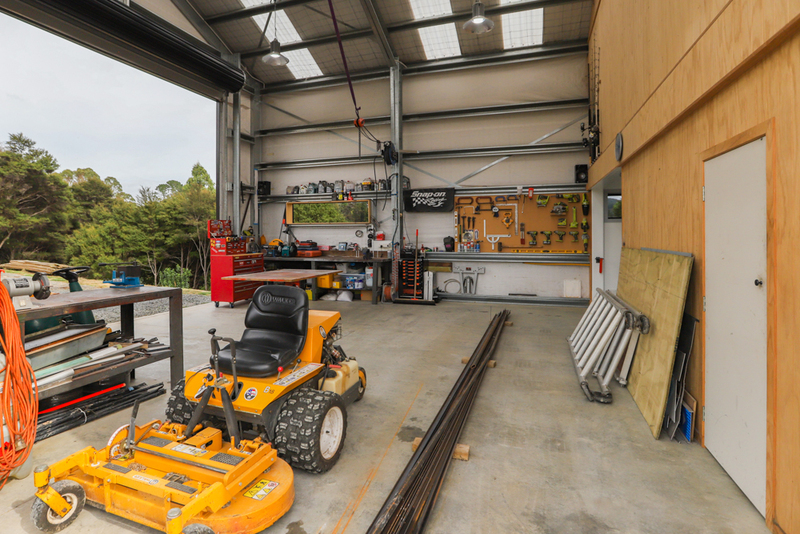 This 3 year old home offers ample space for parking the motorhome, bus or boat and the 2 full height roller-doors access the high stud well-appointed workshop. 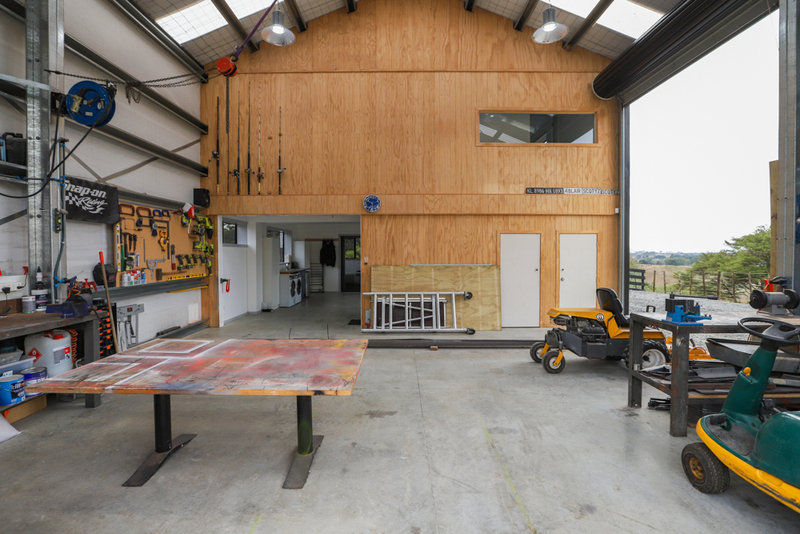 There is also an additional garage space for the car or small boat. 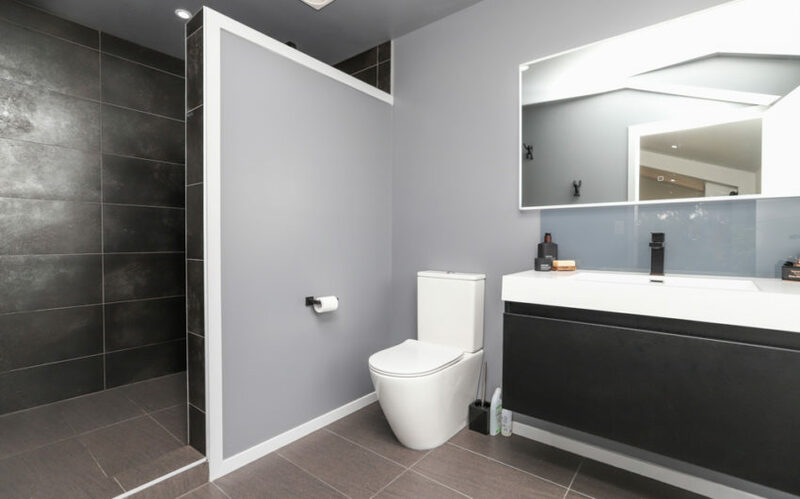 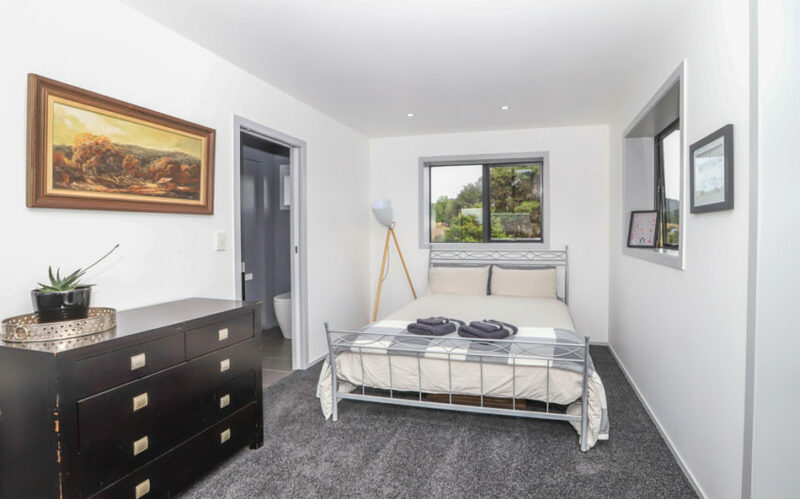 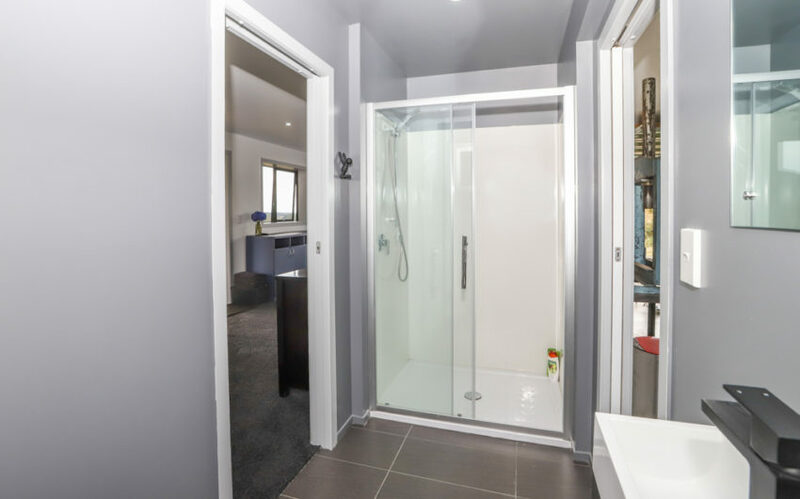 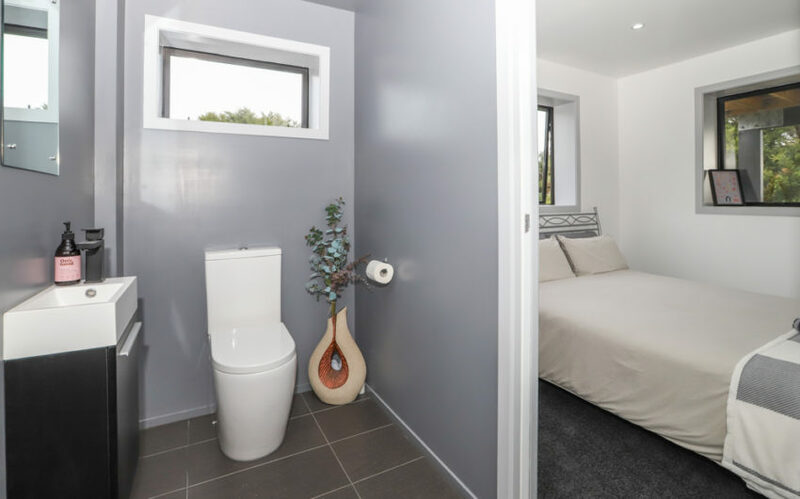 Downstairs offers a bathroom with toilet, large shower and a huge bedroom which is big enough to accommodate two double beds or be a bedroom plus an extra living area (studio apartment set up). 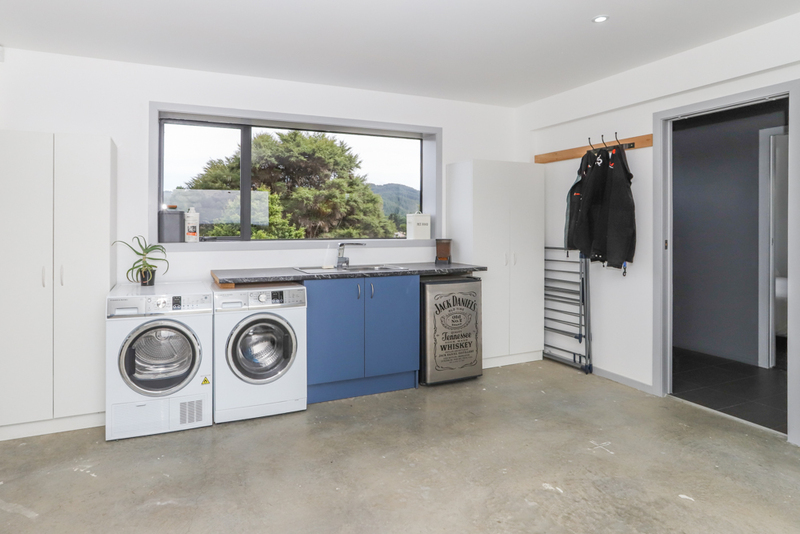 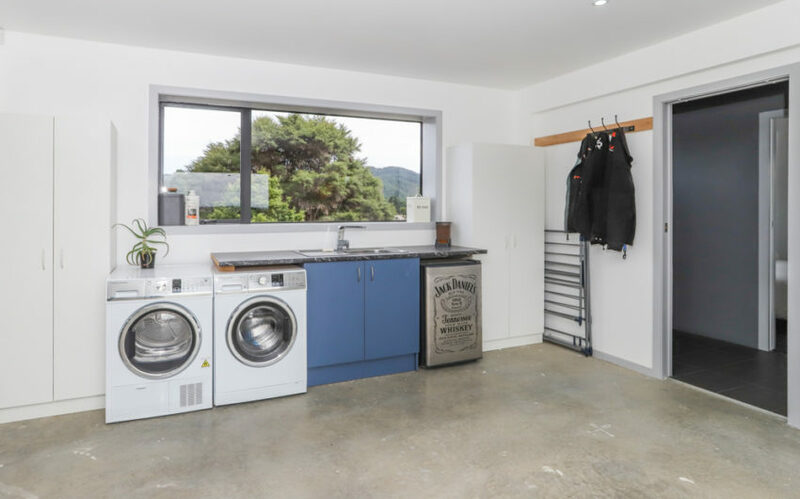 The spacious laundry area is located in the garage. 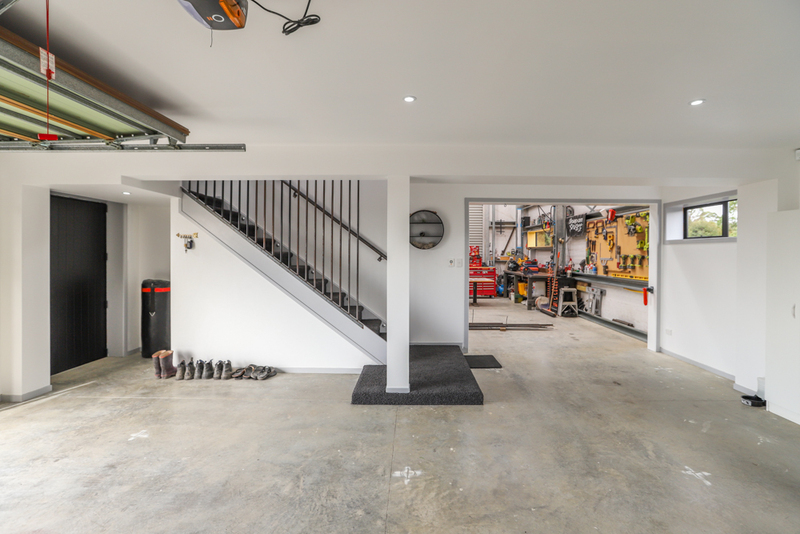 There is access out to the paved patio area and spa from the downstairs bedroom/living area. 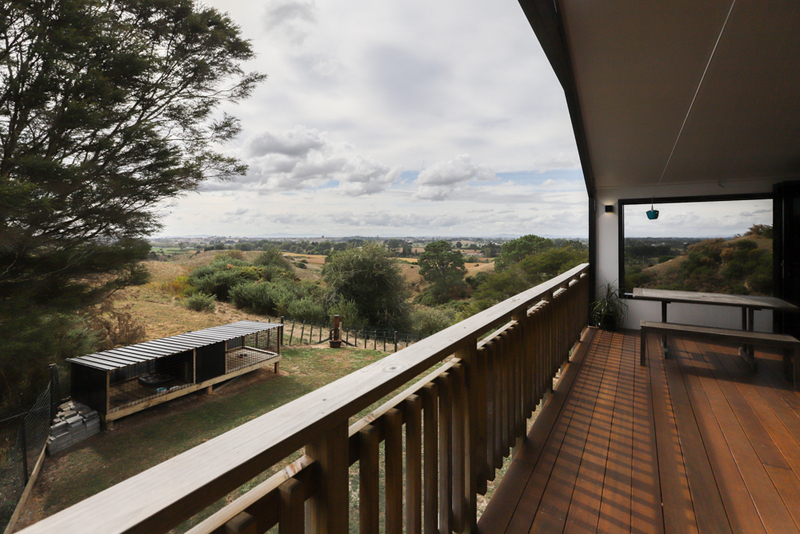 Take the stairs up to enjoy the country views! 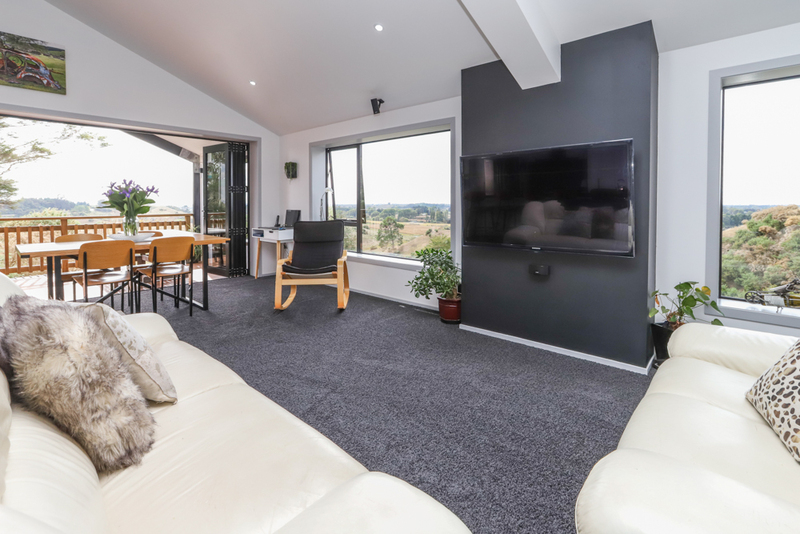 Upstairs offers modern and functional open plan living. 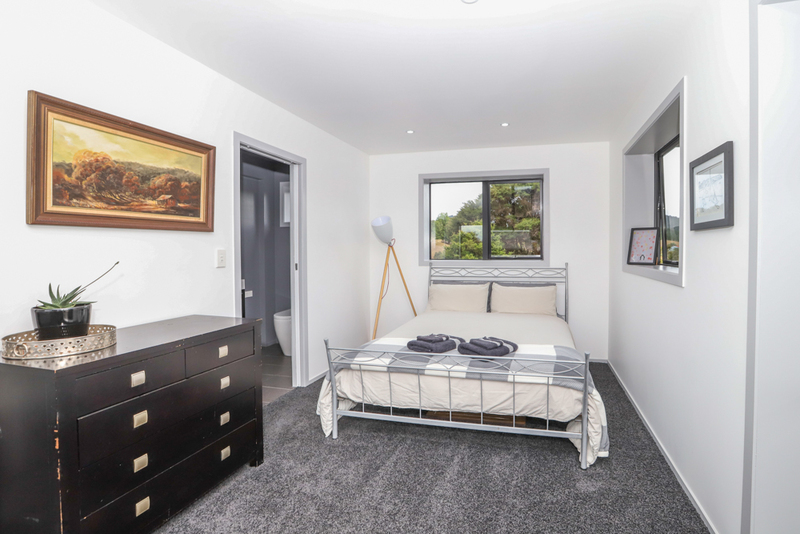 With the bedroom, living and kitchen being open plan with cathedral type ceilings throughout. The bathroom offers a fully titled shower, toilet and vanity with sensor lighting at night. 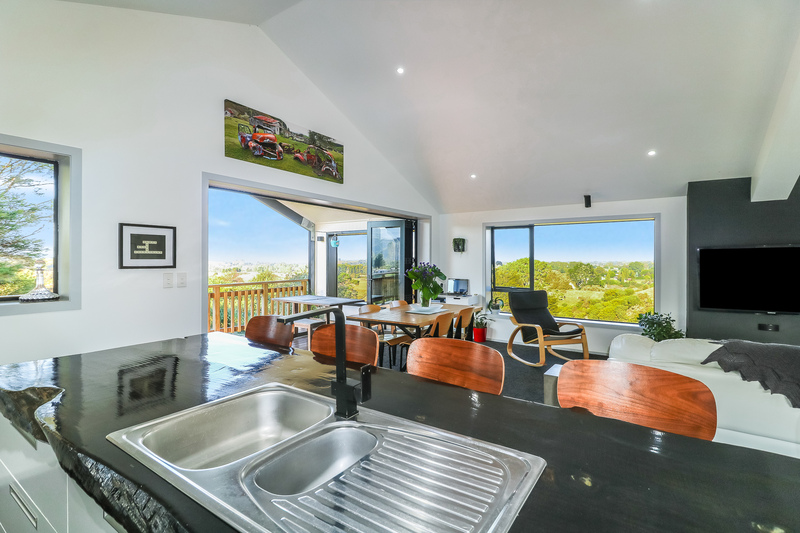 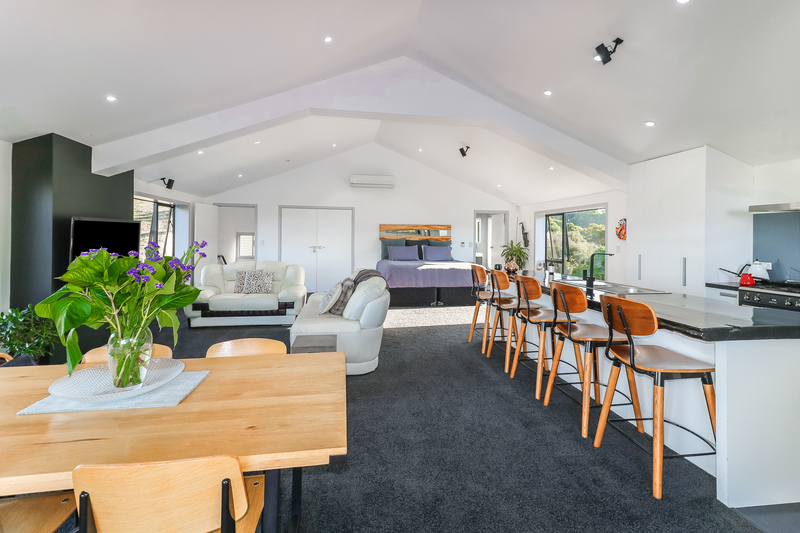 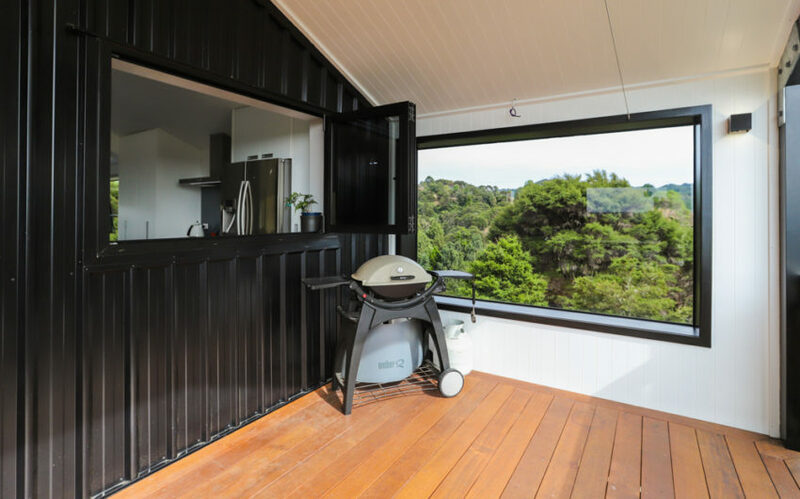 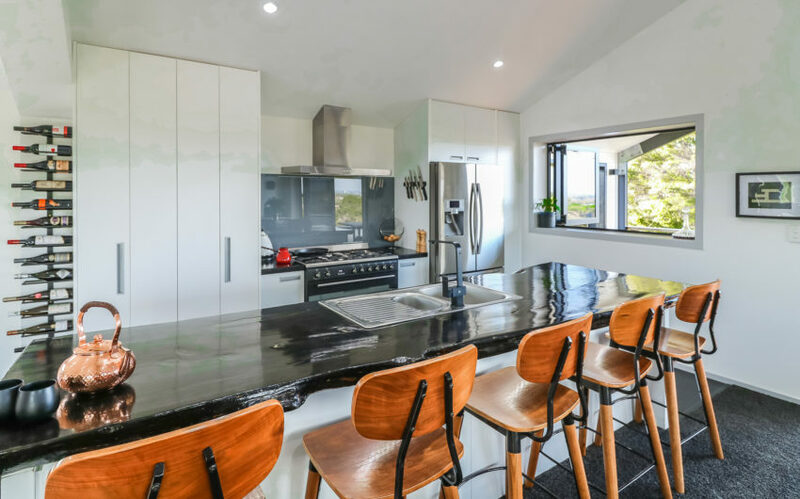 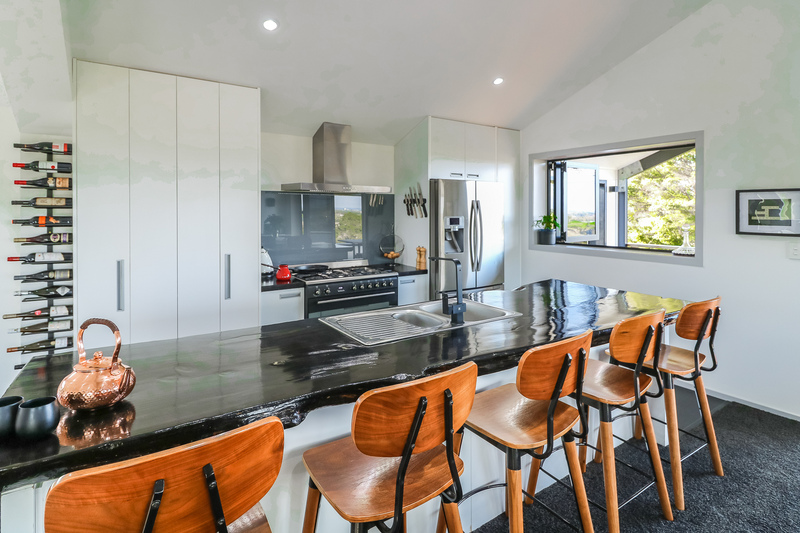 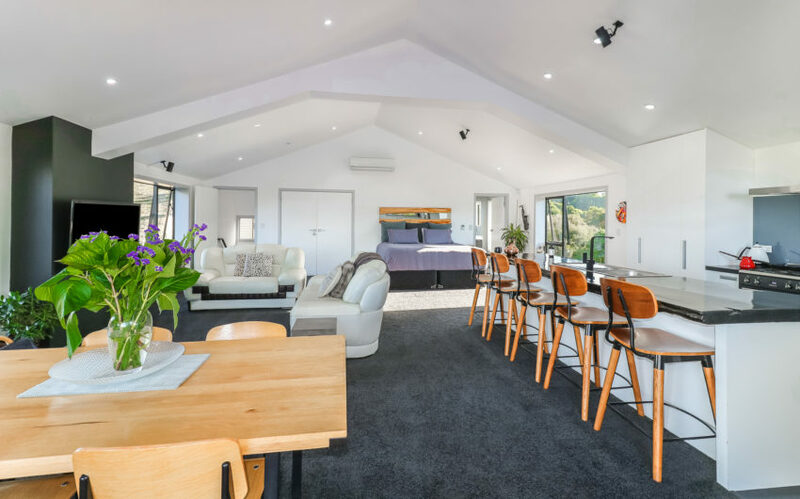 The kitchen is tastefully done offering a bespoke polished swamp kauri countertop, large high end Smeg oven with gas cooking, rangehood and high end silent Bosch dishwasher. 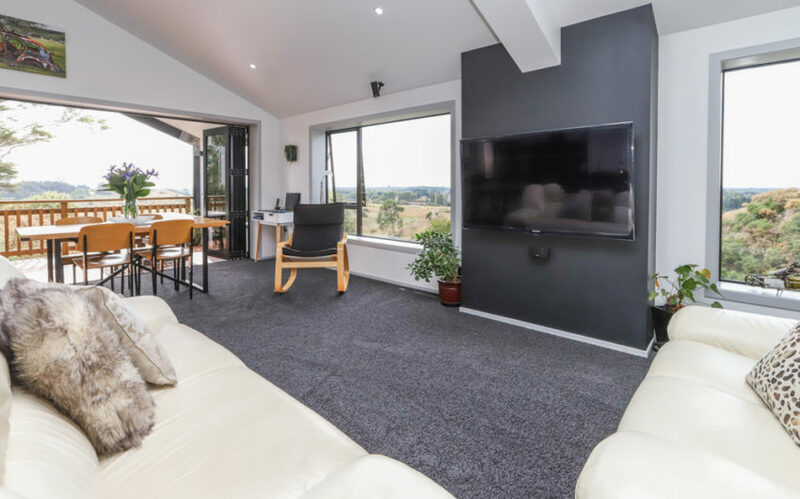 You can enjoy access through the massive bi-fold door out onto the covered quality kwila decked area, with breath-taking rural views, this makes it an ideal spot for entertaining! 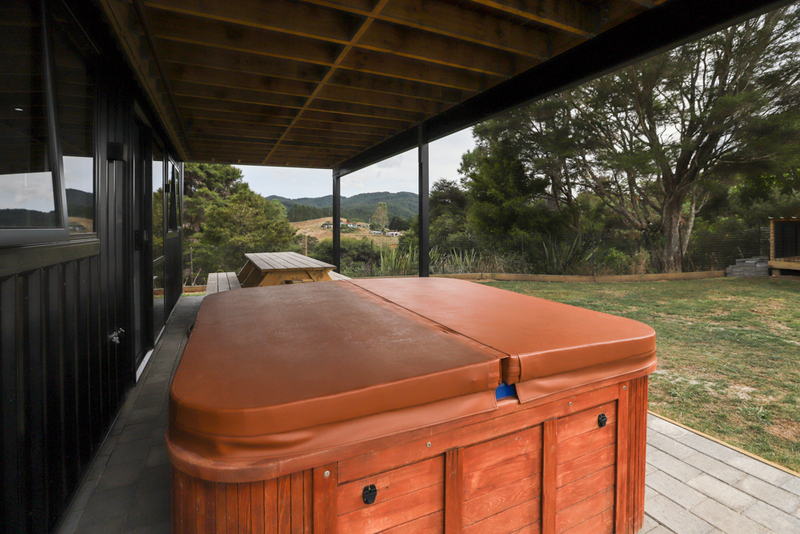 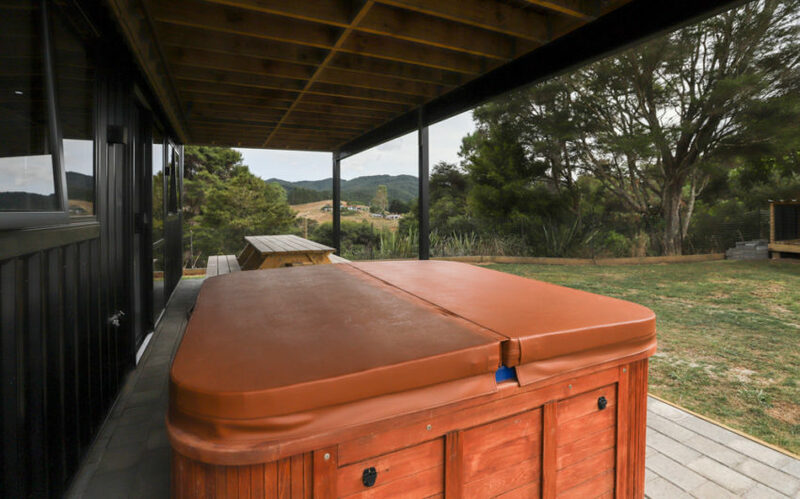 Set up on the hill, this bespoke home offers an easy lock up and leave lifestyle with privacy. 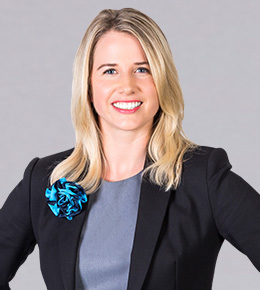 It is very popular with Airbnb guests, often paying $530 per weekend!